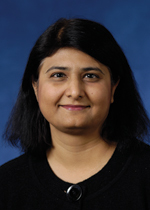 Anila Asghar is an Assistant Professor in the Department of Integrated Studies in Education at McGill University. Her research and teaching encompass a number of interconnected areas: cognitive and emotional development; curriculum development; science pedagogy; teacher education; and educational leadership in a variety of international settings. She earned her doctorate from Harvard’s Graduate School of Education and carried out her postdoctoral research at McGill University. She also received an Ed.M. from Harvard University, and an M.A. in Science Education from Teachers College, Columbia University.